The amendment passed on a vote of 31 to 2, with Senators Barnes and Mike Hall voting against it. Senators then moved to Senate Joint Resolution 12 proposing a Constitutional Amendment claiming the waters of the state for the use and benefits of its citizens. The resolution came from Senate Majority Leader John Unger who has been increasingly vocal about protecting the resource since the Elk River chemical spill last month. The final Senate Joint Resolution taken up for consideration was SJR 14, protecting the state’s Future Fund and designating how the interest earned from the fund can be spent. The resolution couples with Senate Bill 461, Senate President Jeff Kessler’s bill creating a Future Fund. It is created through statute, but how those funds can be used after its establishment must then be determined by the people. The amendment proposes restricting access to the principle for six years following its creation and restricts its appropriation for things like education, infrastructure or tax relief measures. If all three resolutions are passed by the House, they will appear on the ballot in November for approval by the people. 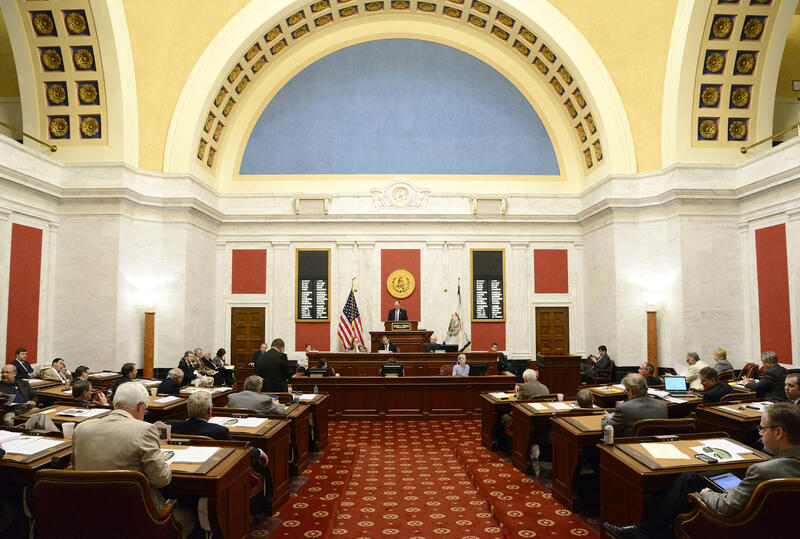 A state Senate committee has approved a proposal to invest some of West Virginia's oil and natural gas revenues for future infrastructure and economic development.